Using free weights, kettle bells and the running machine are all parts of a standard gym visit. But before launching into our exercise routines, most of us probably don't consider the cleanliness of the equipment, and in turn may be exposing ourselves to harmful bacteria. 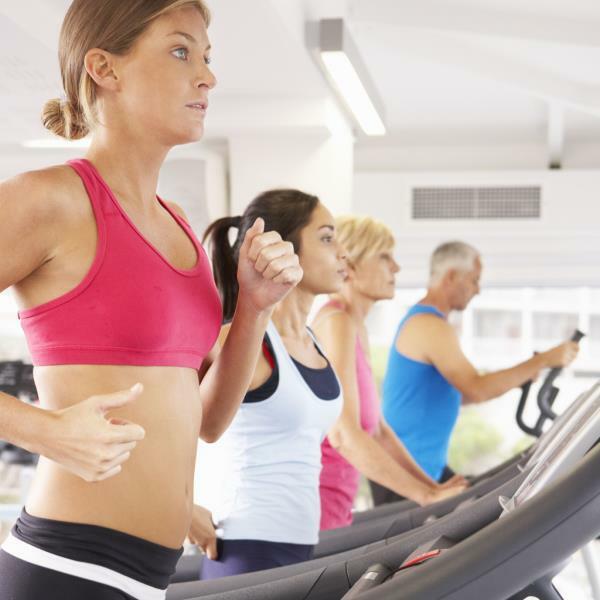 Researchers from fitness equipment rating website FitRated claim each time a gym goer touches a treadmill screen or even grabs a free weight, they are coming into contact with bacteria that cause pneumonia or septicaemia – and even some bugs that are resistant to antibiotics. So just how many germs might you come in contact with when you work out at a fitness facility? FitRated gathered bacteria samples from 27 different pieces of gym equipment and found that each piece is teeming with more than one million germs per square inch. To put this into context, analysts compared the bacteria levels found on various gym equipment with the number of germs typically found on everyday items. They found the average exercise bike harbours 39 times more bacteria than a cafeteria tray, the typical free weights have 362 times more germs than a toilet seat, and worryingly, treadmills average 74 times more bacteria than a typical public bathroom faucet. All three types of equipment were also found to contain gram-positive cocci – bacteria which may cause skin infections. They also yield gram-negative rods – which can cause infection and resist antibiotics – and gram-positive rods, which aren’t as harmful to humans but can occasionally cause infections. Additionally, researchers found Bacillus, a potential cause of respiratory infections, on exercise bikes and free weights.